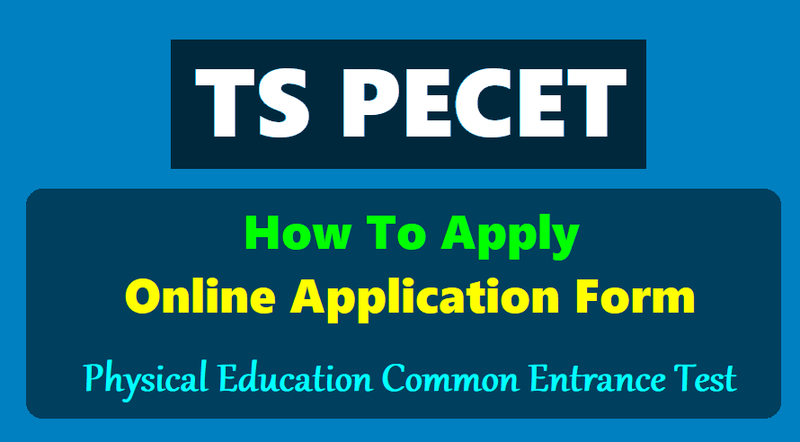 How to apply for TS PECET 2019, TSPECET Online application form 2019: A Common Entrance Test designated as Telangana State Physical Education Common Entrance Test (TSPECET 2019) will be conducted by Mahatma Gandhi University for the academic year 2019-2020 for seeking Admission into B.P.Ed. (2 Years) and D.P.Ed. (2 Years) Courses. The Application form is for Common Entrance Test for the entry into the Physical Education courses. "Last date for submission of online application form without late fee is extended upto 22-04-2019." 1) Candidates who wish to apply for TS PECET-2019 are requested to fill the particulars carefully in ONLINE APPLICATION. The required information should be collected from the relevant documents. Examination Center to which candidate wishes to appear TSPECET-2019 exam. How to apply for TS PECET 2019?